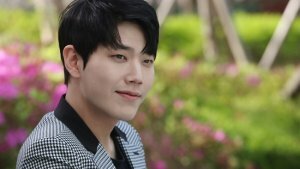 5 Reasons to Watch Daily Dramas! Han Song Jung is a novel writer. She is also a single mother who has raised three daughters: Da Ae, Da Jung and Da In. She struggles to let her three daughters to marry good men. Meanwhile, Seo Jae Woo is the eldest grandson of the family next door, who earns steady income as a corporate drone. Although he’s inherited his grandfather’s brusque and conservative nature, he’s also received kind-heart qualities from his father, and is intrinsically a good man. 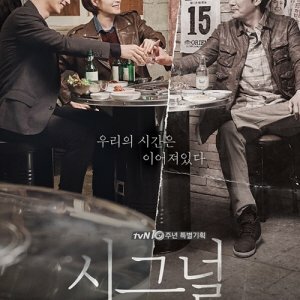 Firstly, I want to say this: I loved this drama! This drama was amazingly warm-hearted and it always made you smile. To be honest, I started to watch this drama because of Park Se Young. I wasn't really aware of the other actors (except for Kim Mi Sook and Jung Man Shik). This drama is presented as a family drama and this description suits it very well. Everything in this drama is about family and I liked it that way. I was really addicted to this drama at the beginning. I even watched SBS live, so I could see the episodes as soon as possible. Then my addiction dropped, but this drama still became a drama I was looking forward to watch, because it always made me smile. I loved the story in the beginning. It was fast-paced and gripping, then somewhere in the middle it lost its spark for a while but regained it very quickly in the last episodes. Unfortunately, this drama was cut down to 44 episodes in the end (because of the ratings in Korea) and honestly, I don't think that this drama deserved it. However, despite that, the writers did a great job with the ending. I was smiling like crazy. I could compare this ending to It's Okay, That's Love. I think this ending was just perfect for this drama. As for acting, most of the actors did a great job, but I could have seen many flaws in their acting. However, because of the storyline and chemistry between the actors, I just didn't pay so much attention to it. By the way, I loved the chemistry between Park Se Young and Lee Sang Woo. If I should pick an actor who did the best job, then it would be Kim Hyung Kyu, in my opinion. He is so young, and he did an amazing job! Really talented! The music was kind of so-so. But the original songs were perfect for the story. I loved how they used trot songs. If you are looking for a heart-warming drama, with a great chemistry between actors and you have a free time to watch it, then, please, don't hesitate and watch it! It's worth your time! 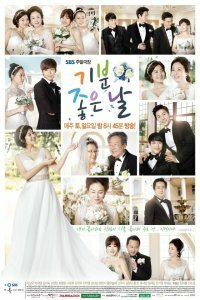 I loved every minute of this drama, it has made it to my top 5 Family dramas (of this length) ! Best family drama of 2014 so far! 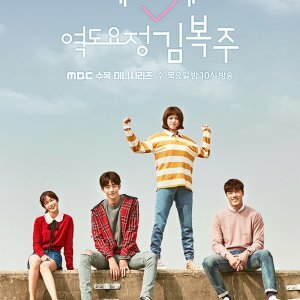 Story: a divorced mother of 3 girls ends up moving next door to her "oppa" and when families meet sparks fly (good and bad) lol, we see the process of her daughters falling in love and there's someone for the mother too ;) anyone who likes family dramas, this is one you aren't going to want to miss!!! Cast: Jae U (LSW) my personal favorite and probably the "main main" male lead - his characters never fail to make me fall for them - he was a true sweetheart <3 Da Jeong the second eldest daughter and my favorite female lead. In U who is a bit childish but funny at some points, sometimes I was a little annoyed but most of the time he'd pull a smile from my face with his childish ways - especially around his brother ;) Da Ae a pharmacist who comes to love a man with a teenager, she was nice but I hated the way she'd cry. Da In the youngest daughter a photographer and finds love along the way too - hers was shown the least but it was cute when it was shown. Seo Lee, a lot of people didn't like her - but I liked her since the first time we get to see her, she was always nice although a bit materialistic at first (I knew that would change). Then we have the grandparents - I loved them!!! Whenever they'd sing "what about my age" I'd sing along with a smile on my face :D Min Shik a very nice warm-hearted father (love it when this actor plays a good decent guy). the only people I never really liked was Shin Ae - aggravating through almost the entire show (although it never ruined the drama for me b/c all the rest of the characters wouldn't give in to her) & Ho Jang (the girls despicable father). Hee Joo a mysterious man a first, I always wondered why he was always with Da In but after a while I kind of figured it out and then things were revealed - I liked him for the most part. Ji Ho - he was cute, especially when his father came one time and we find out he takes after his daddy hehe ;) the only complaint I had about Song Jeong is her clothing!! it looked like she was in rags for most of the drama. Goong Young, I liked him "uncle" he was very persistent but never annoying - he was special. Music: most enduring song: What About My Age by Hong Jin Young - I love that song so much!!! !